Dayyan, or assistant rabbi, of the Spanish and Portuguese Congregation of London, England, and principal of Jews' College. He was born in Warsaw, Poland, in 1831, and died in London, November 15, 1863. Abrahams was educated at University College, and received the degree of B.A. from the University of London. He received his rabbinical instruction from his father. 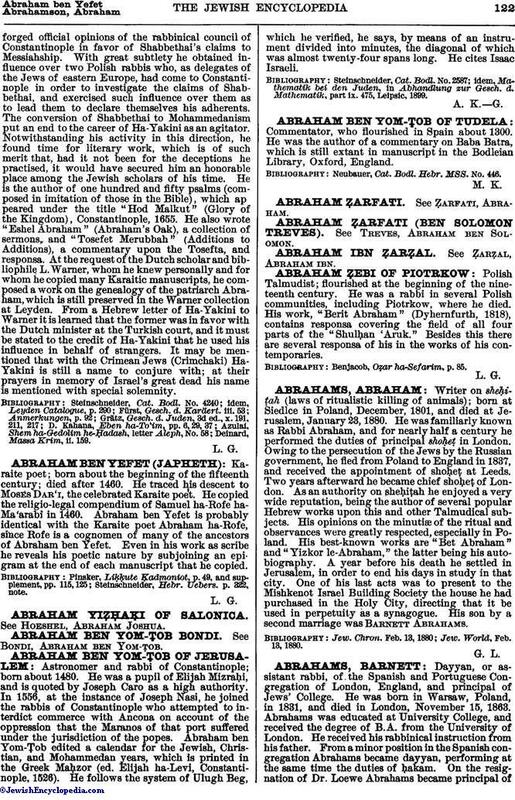 From a minor position in the Spanish congregation Abrahams became dayyan, performing at the same time the duties of ḥakam. 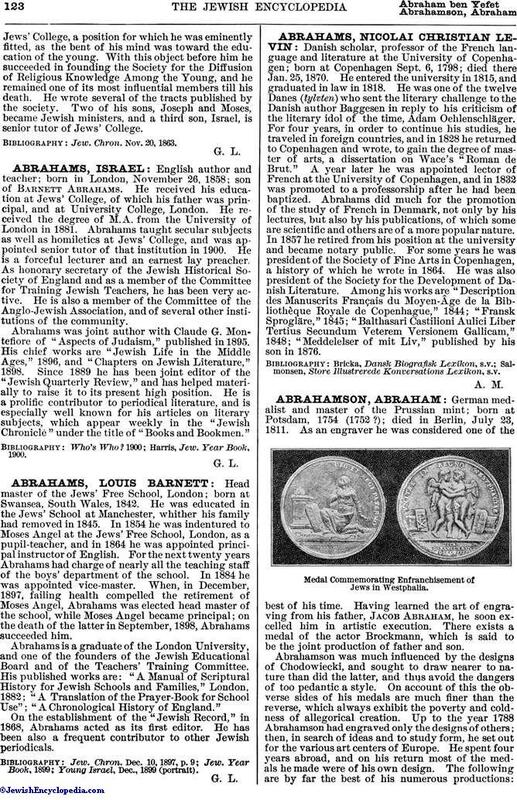 On the resignation of Dr. Loewe Abrahams became principal ofJews' College, a position for which he was eminently fitted, as the bent of his mind was toward the education of the young. With this object before him he succeeded in founding the Society for the Diffusion of Religious Knowledge Among the Young, and he remained one of its most influential members till his death. He wrote several of the tracts published by the society. Two of his sons, Joseph and Moses, became Jewish ministers, and a third son, Israel, is senior tutor of Jews' College. Jew. Chron. Nov. 20, 1863.